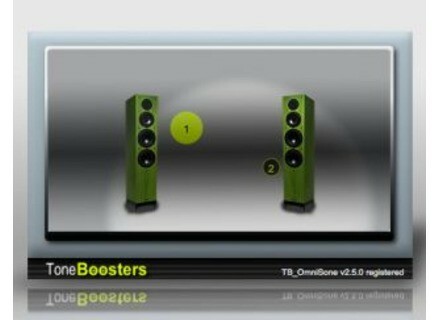 TB OmniSone, Surround Sound/Spatialization Software from ToneBoosters. TB OmniSone is a zero-latency VST plugin to (re-)pan sound sources, even outside the loudspeaker base. It is also designed to allow for increasing the perceived ‘width’ or spatial extent, and depending on the spectral content, may allow to subtly modify the perceived height of a source. What you do is position the handles to change the desired position of each input signal, and use the mouse wheel to modify the spatial width. 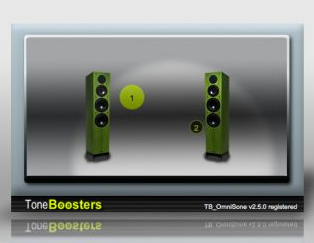 Note that TB OmniSone is still in an experimental phase and the results and effectiveness of TB OmniSone will depend on the (spectral) properties of the audio signals, the employed loudspeaker setup, and the anthropometric properties of the listener. Best results are obtained with high-quality loudspeakers placed at +/- 30 degrees as seen from the listener position, the company says. Check out www.toneboosters.com/vst-plugin-update-history for more details. eaReckon Updates ANALOG87 eaReckon has updated all five of the plug-ins in the ANALOG87 Series to version 1.1.2. Ueberschall Ambient Ueberschall has released its new "Ambient" collection. FXpansion BFD Eco v1.5 FXpansion has announced the release of version 1.5 of BFD Eco.